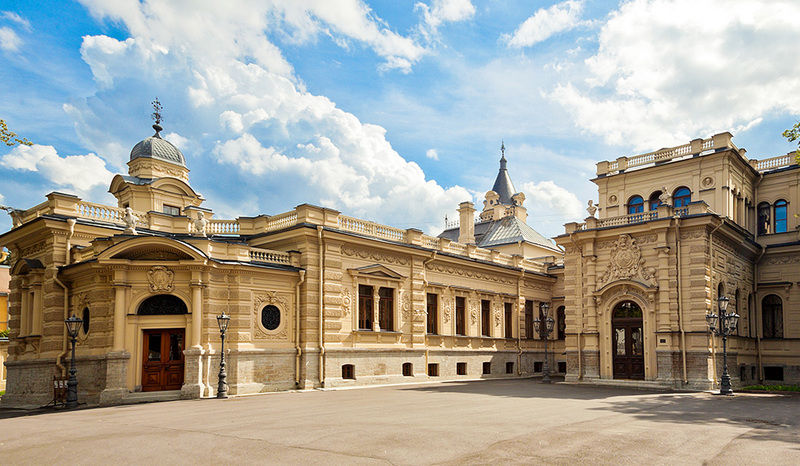 In 1882, Academician of Architecture M. E. Messmacher was ordered to build a palace for Grand Duke Alexey Alexandrovich. The architect was instructed to include in the new building at Moika embankment, 122A the mansion which had stood at that address before. The essence of the project thus was to replan and reconstruct the building.In three years the major operations were completed, and to the delight of the customers, the architect presented a real masterpiece of eclectic architecture, with elements of various epochs and styles. The first thing that caught the eye was the metal grille facing the river Moika. It was made at a Saint-Gallis plant, which specialized in such products. The grille alone cost the owner some fifty thousand rubles. Behind the grille there was a spacious garden with an intertwining pattern of paths, and in the middle of the garden stood a magnificent palace with a round tower, which made the palace look romantic, almost fairy-tale-like. The interiors of the palace combined features of various style, with multiple artistic decor options and grandeur of art and sculpture. The bathroom was made in Pompeii style; the oak study featured carved wood and tooled leather; the dance room and the drawing room in rococo style boasted elegant molding and painted plafonds; the English (Knight) Hall displayed solemn portals and an intricate ceiling design. These rooms reflect the taste of the last General Admiral of the Russian Empire, gourmet and man of high society. Visitors were especially fascinated by the Main Dining Room, the pride of the host, who loved lavish parties and spent much time at them. Not surprisingly, much attention was paid to the decor of this room. The upper part of oaken walls featured ten panels by E. K. Lipgart in the spirit of Dutch genre painting of the 17th century. Of rare luxury was a large two-layer fireplace made of carved oak, with Dutch tile panels. The date of its construction was shown on the tile in Roman numerals: 1884. The design of the Alexeyevskiy Palace is in terms of its general composition concept as well as in terms of the associated sense of style, draughtsman skill and execution of decoration details of the façade and interior, one of the best in the legacy of Messmacher, a brilliant painter and a great master of architecture of the mid-19th century. Maximilian Messmacher (1842 - 1906) was born in Saint Petersburg and studied at the Academy of Fine Arts as an unenrolled student at the classes taught by K.A. Ton, A.I. 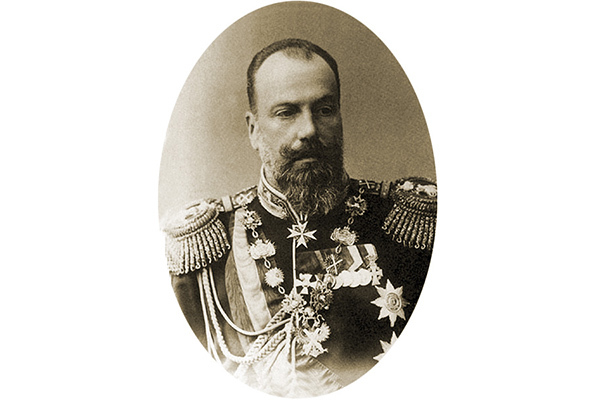 Rezanov, D.I. Grimm. In 1866, was awarded the grand gold medal for the “Country House for a Wealthy Nobleman,” design and the title of the 1st degree class-ranked artist. That gave him an opportunity to get a four-year fellowship with room and board to study the monuments of architecture. During the years 1867-1872, he visited Germany, Belgium, France and Italy. In 1872, he received the title of an academician for the work performed during the fellowship trip. 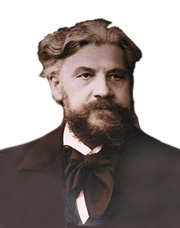 Since 1890, held the rank of a professor, and from 1877 to 1869 years, became the director of the Baron Stieglitz Central School of Technical Drawing (in Soviet times, Art School named after Vera Mukhina). Over the twenty years of his directorship, Messmacher created for the students a museum of arts and crafts with rich collections, which became thereafter gems in the collection of the largest museums. Messmacher combined the features of an artist, decorator and architect, which allowed him to simultaneously design urban mansions, the grand palaces and interior finishing. The buildings he created are well known. They include the Museum of Baron Stieglitz Central School of Technical Drawing (Museum at the Mukhina College), State Council Archive in Millionnaya street, 36 (Central State Archive of the Navy), and the Palace of Prince Mikhail Mikhailovich in the Admiralty Embankment, 8. Special mastership can be seen in different interiors designed by Messmacher: at the Gagarina’s Mansion (Music House), Polovtsev’s Mansion (House of Architects), Palace of Grand Duke Vladimir Alexandrovich (House of Scientists) and Anichkov Imperial Palace. Varvara Andre, wife and student of the architect, was a ceramic artist whose works can be found at the Alexeyevskiy palace: majolica framing of the fireplace and wall tiles in the State Dining Room.